If the roots of neighbor’s row of backyard trees next to your fence have invaded your property, causing damage to your hardscape, and/or threatening your home’s foundation, suit in court for injunctive relief may be effective to force them to remove their offending trees, and to grind down the stumps to kill the roots, thereby solving your problem, and stopping the loss of your home’s market value. Absence of a Root Barrier. Yards where homes were built on them more than 20 years ago may lack a “root barrier” between their trees and your property, such that over time as the trees have grown, their roots have invaded your property, either causing or threatening to cause damage to your hardscape, e.g., to your cement structures, or threatening to damage your home’s foundation. Also, upon your learning of the roots’ encroachment into your property, legally you must disclose it in writing to a prospective buyer, which may render your home unmarketable, preventing you from selling it unless and until the encroaching tree roots have been killed. Removing their trees/grinding down their stumps kills their roots. In California although you may trim back branches which invade your airspace, you cannot legally cut down or harm your neighbor’s trees without beforehand obtaining a court order, or you may be liable for double or treble damages to your neighbor [Civ.C 733]. Hence, it is best to secure legal counsel experienced in these matters to guide you through a resolution, either by negotiation with your neighbor or by suit in court. Right to Recover Attorney’s Fees? If negotiations short of filing suit don’t work, you may not be allowed to recover your attorney’s fees unless you can point to a clause in your HOA’s CC&Rs allowing for them for your neighbor’s breach in permitting his tree roots to grow into your property, after due notice by you to him/her of the violation and his/her failure to cure it. Your suit may require your use of the following expert witnesses: (a) a geotechnical engineer to determine the cause of damage to your hardscape, (b) a contractor to determine your cost of repair as well as the cost to your neighbor of removing his/her offending trees and replacing them and installing a protective “root barrier,” (c) a structural engineer to determine the imminence of damage to your home’s foundation from the invading tree roots, (d) an appraiser to determine the loss in value to our home caused by the invading roots, and perhaps (e) a surveyor if there be any dispute as to the boundary between the homes. So, it’s important to try through your legal counsel to negotiate a settlement with your neighbor as soon as possible to avoid these inherent costs. Generally, your HOA’s board will do little, if anything, to help you. If you need legal help here, call me. 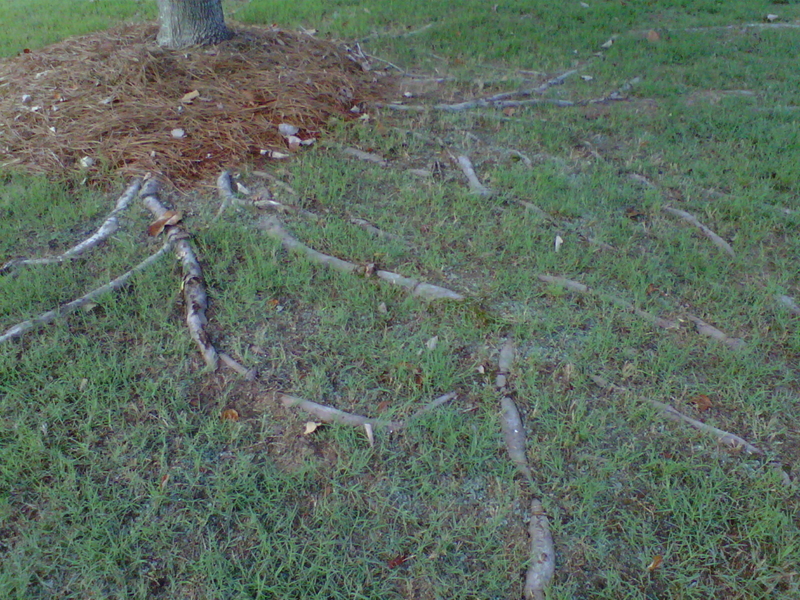 I have successfully negotiated and prosecuted such “tree root removal” cases in court. 30+ years real estate law legal experience. About the Author: Attorney Pete Wittlin, is a 38-year southern California real estate law litigator and counselor, who may be reached at his law office in Irvine, California, at telephone (949) 430-6529. Pete is the 36-year Editor of the “Real Estate Law Update,” which he writes monthly for the 300+ members of the OCBA’s Real Estate Law Section, summarizing important real estate appellate case decisions, and annually legislative developments. He is also the section’s annual April guest speaker on the year’s “Top 10 Real Estate Law Decisions,” and is a former educator and frequent public speaker to area brokerage firms on topics of legal interest to their members. He may be also be reached at pwittlin@gmail.com. If you would like to contact Peter Wittlin or are in need of legal representation, please fill out the form below to request more information.